These elegant Italian Chest Wishing Wells are a great addition to your reception or shower. 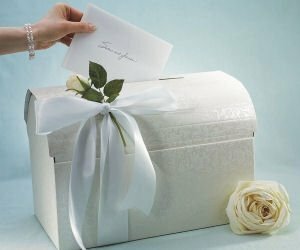 They can be used to collect envelopes, cards and monetary gifts, and make a more formal alternative to a "Bride's Dance." 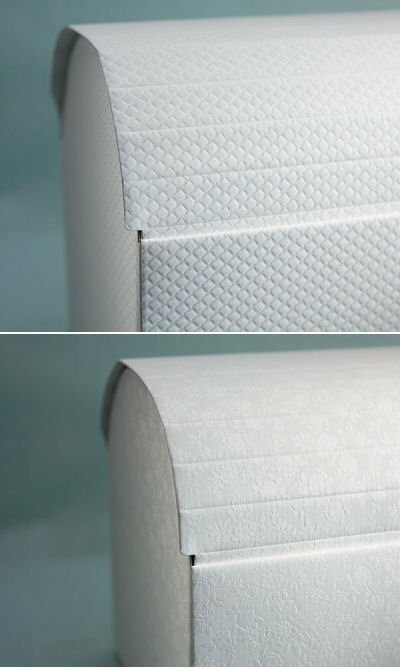 Chest measures 15" x 9" x 10"H and comes in one of three patterns - Diamante (Champagne Floral Embossed), Fiorami (White Floral Embossed), or Trapunta (White Diamond Embossed). Chest is crafted from sturdy cardboard, some assembly is required and mail slot must be cut (e.g., using a utility knife). NOTE: Bow and flower not included.